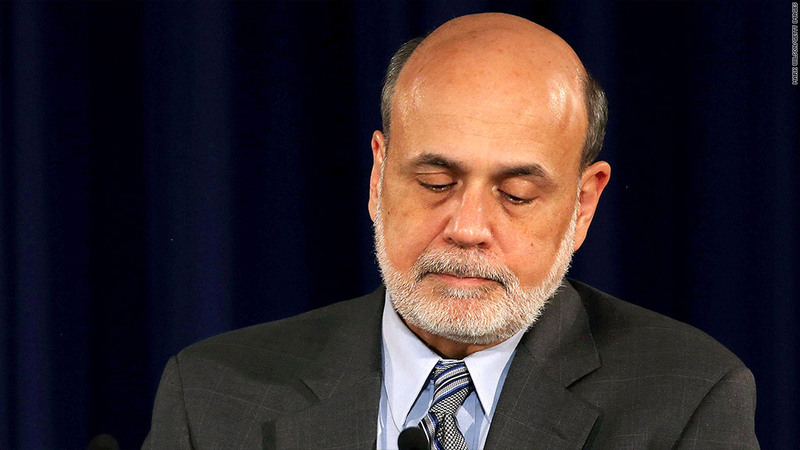 Ben Bernanke's top goal -- substantial improvement in the job market -- is still eluding him. There's still no end in sight for the Federal Reserve's stimulus program -- known as quantitative easing -- after the central bank met this week and decided to continue buying $85 billion in bonds each month. 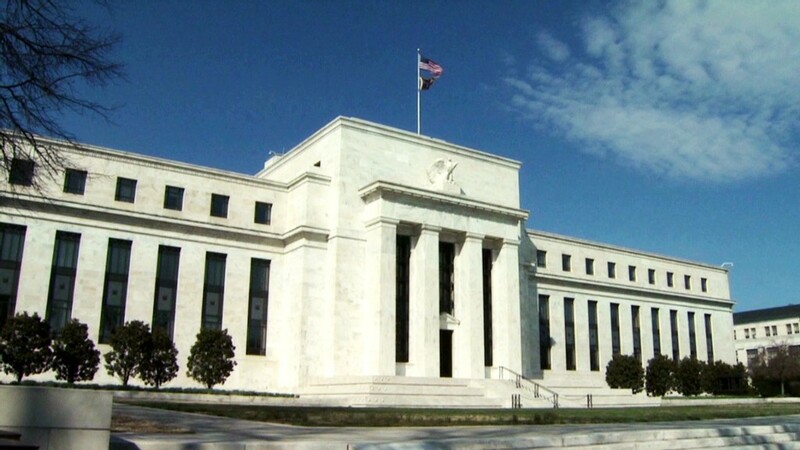 In a statement released after the conclusion of its policy meeting, the Fed pointed to fiscal policy (a.k.a. government spending cuts, the shutdown and debt ceiling debate) as "restraining economic growth." While the Fed continued to characterize the overall economy as expanding at a "moderate pace" -- the same as at its prior meeting -- it did downgrade its assessment of the housing market slightly. "The housing sector slowed somewhat in recent months," the statement said. The central bank has been buying $85 billion in bonds every month since September 2012, and has said it will continue to do so until the job market improves "substantially." The program is now nearing $1 trillion in total, yet that goal remains elusive. Sure, the unemployment rate, at 7.2% is slightly lower than it was, but so too is the country's labor participation rate. Only 63% of Americans ages 16 and over either have a job or are looking for one -- the lowest level since 1978. Meanwhile, hiring is stuck in slow motion, averaging 185,000 news jobs added in each of the last 12 months. Overall, not much has changed in the job market since last year. Investors had previously thought the Fed would begin slowing its stimulus plan by now, in a gradual wind-down process dubbed "tapering." Fed Chairman Ben Bernanke said as much back in June, when he remarked "We anticipated that it would be appropriate to begin to moderate the monthly pace of purchases later this year." But Bernanke has also said the Fed's decision will depend on the economic data. That's been a problem since the October government shutdown delayed some economic reports and is expected to muddle some of the data in the coming months, and the debt ceiling standoff could still resurface early next year, weighing on the economy once again. Add in the Fed's leadership transition, as Bernanke's term ends in January, and Fed watchers largely think the central bank has to wait until at least its March 2014 meeting, before making any major policy changes. "I don't think Federal Reserve Board members would feel very comfortable about beginning the tapering process until we're closer to 200,000 jobs added each month. We're a long way from there -- in fact we're moving in the wrong direction," said Mark Zandi, chief economist for Moody's Analytics. Others even predict the job market weakness will persist so long, the Fed might opt to continue bond purchases at full strength, through at least June. If these predictions come true, this round of QE is likely to total more than either of its two predecessors: QE1 totaled $1.5 trillion and the second round of stimulus added up to about $600 billion. What does this mean for interest rates? Before the Great Recession, the Fed's main tool was its short-term interest rate. Lowering the rate made it cheaper to borrow money, which aimed to stimulate the economy. But the central bank has already kept that rate near zero since December 2008, and that's one reason it is resorting to more unconventional policies like quantitative easing. The hope is by buying all these bonds, the Fed will lower long-term interest rates too. Mortgage rates are one noticeable area where consumers may notice the effect. The average rate on a 30-year mortgage fell as low as 3.4% in April, but then started rising during the summer, as investors predicted the Fed would cut back on stimulus. Now that the Fed is standing pat, the rate has been falling again, and as of last week, it was 4.1%. The longer the Fed continues QE, the lower rates could fall. QE remains a controversial policy. At every meeting this year, Kansas City Fed President Esther George has been voicing concerns that the Fed could be overstimulating the economy and even risk inflating a bubble. She voted against the decision, citing "the risks of future economic and financial imbalances." She was the only dissenter among the Fed's 10 voting members.